In the second of our Xmas podcasts, we say humbug! Nahhh just kidding! Modern retelling of a classic? We’re down for that! Out Thursday! COMPETITION TIME! 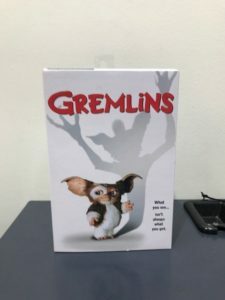 In our first Xmas podcast this year we have a revisit for the classic Gremlins! 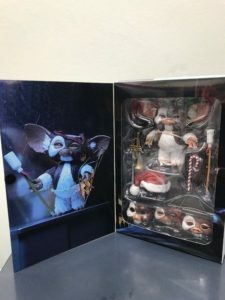 Also listen in for the chance to win your VERY OWN MOGWAI!! This week it’s Gidgit’s birthday pick. Join us as we travel across the USA trying to get home for Thanksgiving! Podcast out Thursday! Join Gidgit von Larue for part two of her interview with Robin Block the Executive Producer of the ultimate 80’s Horror Documentary In Search of Darkness. Robin also joins Gidgit to discuss their Top Ten Creepiest 80’s Horror Characters. Continuing guest host month, Gidgit is joined by Sam from Movie Reviews in 20 Q’s to talk about the Nic Cage film , Vampire’s Kiss! Podcast out Thursday! This week with Angryman away, Gidgit is joined by Paul from the Countdown Podcast to take a leisurely stroll through the jungle… Nothing bad could happen right? Catch their chat on the classic Predator – Out Thursday! This week it’s the hilarious comedy work of Mel Brooks on our podcast as we watch Part one of the never to be two parter! Podcast out Thursday! If you build it…. Up next on the Retro Cinema is the American classic Field of Dreams. Out Thursday! This week we look at another sequel to a classic. Grease 2! Join Gidgit and Angry at Rydell High School in 1961 for music and laughs and a great intro from the amazing Lana White!